Enforcement Officer Kingsley checked the remaining charge on his disrupter and eased off the safety catch. After wiping the beads of perspiration from his furrowed brow, he lowered the protective visor of his helmet and snapped it into place. Not knowing what opposition they might face on the other side of the door, this was a tense moment. 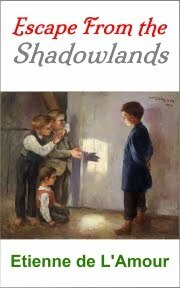 Sometimes the dissidents would meekly surrender like gentle lambs, and other times they'd try to fight their way out like cornered rats, with tooth and claw and all guns blazing. Kingsley was tough, with a muscular physique patiently and diligently honed over the years through daily workouts in the gym, and he had a rugged jaw line. A few years back, a dissident had landed him an almighty punch on the jaw and Kingsley had just stood there, shrugged off the blow and laughed in his assailant's face. The guy had run off screaming, having just broken three knuckles in his hand. In part, that's how Kingsley had earned his nickname in the Force: “The Rock”. The others joked about how his jaw was so strong, it might have been chiselled out of a slab of granite. But that was only part of the story. What had really toughened up Kingsley – not physically but mentally and emotionally – were the years and years that he'd spent dealing with the dissidents and crims and other pond life, out on the back streets and the stinking, garbage-strewn alleyways and in the pitiful, neglected slums. In spite of this, however, Kingsley knew full well that out on the streets his reputation was of little use beyond that of a mild deterrent; that there was no room for sitting on your laurels – if you valued your life, that was – and that an Enforcer was only as good as he was on the day, in the here and now. Kingsley never once forgot that he was as mortal as any other, and that all it would take to dispatch him from this world was a single, unlucky or well aimed blade or bullet. That's how his own father had died, in the line of duty, on the very eve of his honourable retirement, years ago in a botched raid on a militant cell; and that was the primary reason that Kingsley had abandoned college and joined the ranks himself. He'd arrested countless dissidents in his career, yet still he felt no closer to settling that old score and finally finding closure. Perhaps he never would find closure this way, for they weren't fighting a conventional enemy, and the force never secured a defining victory. All they were ever doing was nibbling at the edges of this irrepressible cancerous growth. “I sat there, touched with sadness. I didn't say anything because I could not think of anything appropriate to say. ~ Tahir Shah, In Arabian Nights, New York: Bantam Dell. pp. 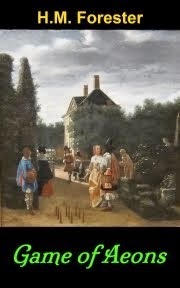 215-6. See: tahirshah.com. There is now an official page for Idries Shah at Facebook, maintained by the Estate of Idries Shah, and you can follow @IdriesShah at Twitter. A new official web site, The Idries Shah Foundation, has now gone live, and there's a new article about The Idries Shah Foundation at Wikipedia. I've been on-line for over twelve years now and for several years I hosted and ran my own web site, latterly Sher Point Publications, UK. Now, however, it's time to make changes in order to reclaim my life. It all began after the death of the thinker, writer and Sufi teacher Idries Shah on 23 November 1996. At that time, many of the folk who'd been reading his books (in effect, unofficial students) were left wondering what to do next -- all the more so since no successor to Shah was forthcoming. This was long before Idries Shah's son, Tahir Shah wrote in his book In Arabian Nights that Shah had said that his books were to be his successor. A number of old, rare short PDF documents by and about the writer, thinker and Sufi teacher, Idries Shah are available from our web site. Account of the Sarmoun Brotherhood by Major Desmond R. Martin. Declaration of the People of the Tradition and Twenty-two Principles by Idries Shah. Grand Sheikh of the Sufis: Human Behavior article. 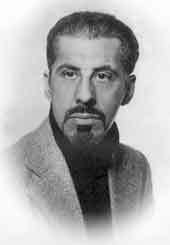 Idries Shah Addresses “New alpha”: Notes on an address to class leaders. Notes on a Meeting with Idries Shah: Notes on a letter reporting a meeting with Idries Shah in the early days. The Philosophy of Developmental Change: A 1976 introduction to the Philosophy of Developmental Change (PDC), by DWG. Sufi Texts: Awakening by Idries Shah. The Sufi Tradition: Psychology Today article (originally entitled The Shah of Sufis). The Teaching Story: Observations on the Folklore of Our 'Modern' Thought by Idries Shah. The Wisdom of Sufic Humor: Human Nature article by Idries Shah. Click here to go to the web site page. * The video of the BBC documentary One Pair of Eyes: Dreamwalkers is available on Idries Shah's Youtube channel. There's also a convenient playlist for the ten parts of the documentary. 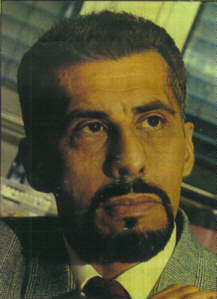 Idries Shah is one of Etienne de L'Amour's main influences for the Shadowlands series of novels. 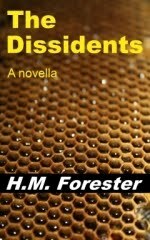 If you like Orwell, you may like The Dissidents by H.M. Forester. 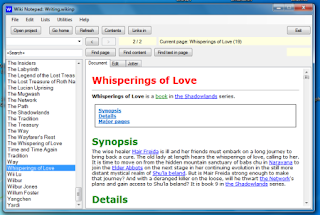 If you need to keep a track of facts in your books, such as the storyline, characters, places and events -- especially throughout a series -- it's well worth looking at desktop applications that are a cross between a wiki and a notepad, such as WikidPad and ZuluPad. You can easily get hold of free versions of both of these programs to run on a PC and have your very own off-line "Wikipedia" for your books. I've actually written my own, "Wiki Notepad" in VB.NET with an embedded Firebird/Interbase SQL database, as I wanted to expand the features and make the pages more readily accessible and fully searchable. It's a neck of a lot easier than wading through the pages of half a dozen previous books to find out, for example, the term of endearment a character usually uses for their spouse, and far more reliable than memory. 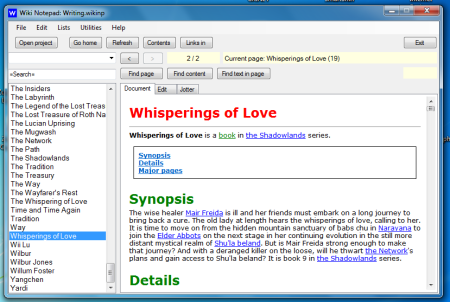 Sorry, Wiki Notepad is not publically available, however, as it's still in development. As I enter more data, I keep discovering new features I'd like to add or existing features that need tweaking, so it's going through new versions daily. I'm all for authors helping one-another out and fostering community spirit, but I am concerned about certain robotic, quasi-automated schemes that are being used to artificially "game the system", akin to "black hat" search engine optimization (SEO) techniques, such as reciprocal web site link exchanges, that fortunately incur penalties from the likes of google. 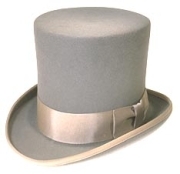 I call these schemes "grey hat", since I see this as a grey and at times murky area in which those who game the system gain an unfair advantage over those who choose to abstain; and the last thing we need as writers is to start thinking of our craft as a competitive sport and not as something wonderful in which we all peacefully and healthily cooperate. 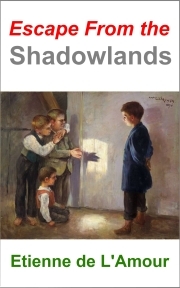 The schemes often operate this way: you join an ebook service web site or adopt a twitter hashtag to get other members or hashtag users to tag your book at Amazon (with labels like "dystopia" or "science fiction") so that it appears in more search categories and is more visible to customers; and in return, you reciprocate by tagging other people's books. It's one thing doing this for a friend where you have a genuine interest in their works, but it's a grey area when it comes to tagging others whose works you don't actually know, just so they'll reciprocate. 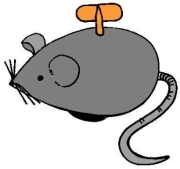 In some cases, the author will comment on a web site discussion thread suggesting tags which they would prefer others to use, and they tag others -- any others -- who've made earlier comments. ONCE UPON A TIME, not so long ago nor a thousand miles away, life was a lot simpler and far less regulated and we didn't rush around like clockwork soldiers or rats on steroids. If you go back fifty or sixty years, to the 1950s and 1960s, we were quite content if our parents bought us some packs of Lego building bricks, an Action Man doll or Thunderbirds pyjamas for our birthday or for Christmas. We weren't all fired up by the media to demand all the latest, must-have gadgets; we didn't spend our time glued to television screens, computer monitors or mobile phones; and these machines didn't use us, we used them. Instead, we'd go off on wholesome family outings and play outside with our friends, with far less fear of being molested or abducted by some pervert. In those days, there was far more neighbourly and community spirit. Back then, our play and our everyday lives weren't hampered by the over-zealous implementation of often-ridiculous health and safety regulations. If you fell over and hurt yourself (perhaps because a good neighbour had thoughtfully cleared the snow from the path outside their door), you wouldn't call in a solicitor and take the matter to court to obtain compensation, you'd simply clean the wound and stick an elastic plaster on it, or seek medical attention. Period. And we weren't as obsessed with cleanliness and beauty products in those days as we are now. A bit of muck probably did us good, because it allowed us to build up our own immune system, rather than becoming reliant on medicines.